This is such a fun a colorful mani! 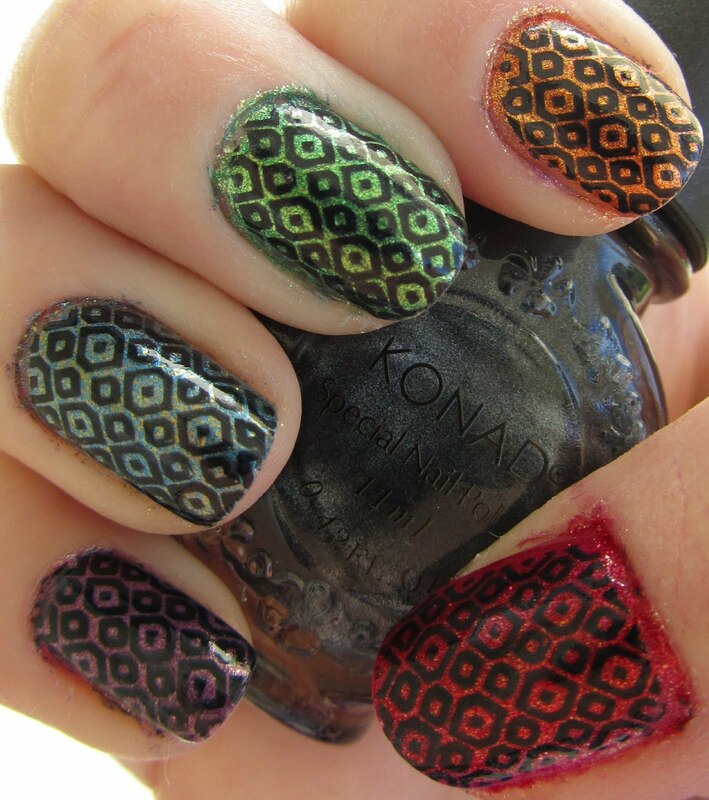 I love that hey are all so different and you tie them together so well with the stamping! I love all these colors together! They are so perfectly related. Great picks!!! it's good to have a plan. 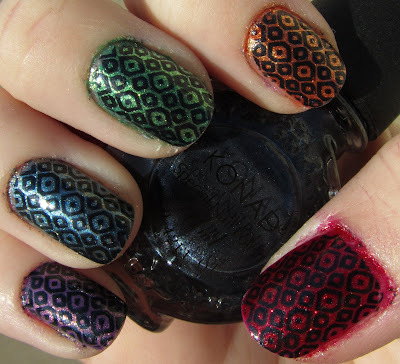 I love the multi-colors with stamping! Really like this mani and that you can still see the pretty polishes even with the 'nadding!